← Could Your Living Room Be Better Without a Sofa? Once you’ve decided what you want your home to look like, picked your colors, and figured out how much you can afford to spend, it’s time to turn your attention to furniture. Whether you’re fresh out of college or entering your golden years, chances are, you’ve already accumulated some pieces. But should you keep them or start from scratch? Where should you go to buy the rest of the stuff you need? And how do you avoid making a mistake? First, take a look at the furniture you already have. If a piece is cheap and you don’t like it, get rid of it of you can. If the style is dated, let it go — unless it has sentimental value, in which case you might consider refreshing it with new upholstery or a new finish. If you’re still uncertain about whether to keep things, consider hiring an interior designer, even on just an hourly basis, to help you sift through your possessions and tell you what’s worth saving. “The decorator will see things through a different lens,” says Allison Caccoma of Caccoma Interiors. Once you’ve vetted your collection, you have one more step to complete before you start shopping. 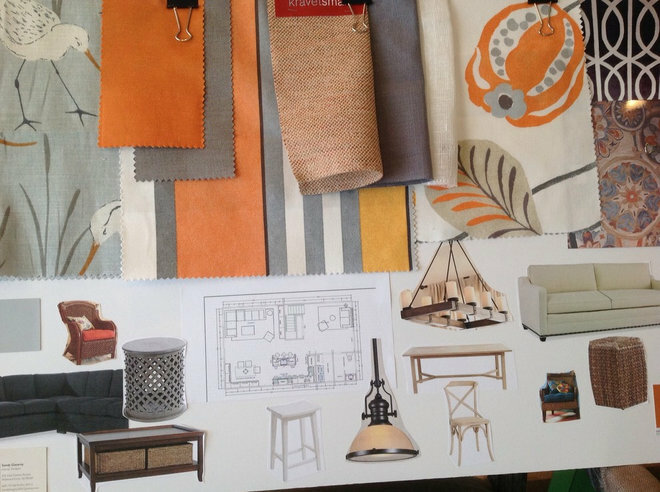 “Don’t purchase anything until you have the entire room worked out — the rug, furniture, window treatments and lighting,” says Caccoma. While it’s not necessary to identify the precise pieces, you should have a sense of what you want each piece to look like. In fact, you might even want to assemble a project board, with clippings of the kinds of pieces you’re looking for. “People often make the mistake of buying an item, and then are locked into decorating the room around that one item,” Caccoma says. But how can you know what pieces you want until you get a sense of what’s available? This is the time to do a little reconnaissance. 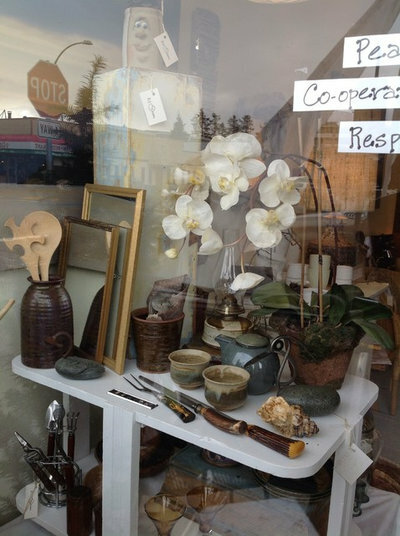 Spend some time on Houzz and visit stores and antiques shops. 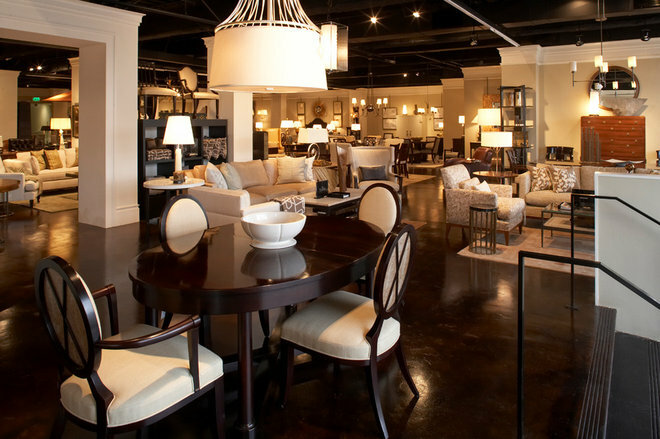 Visit your local to-the-trade design center (most allow consumers to look, though not necessarily to buy) and get a sense of current styles, what’s available and what you like. “People need to broaden their horizons and just see what’s out there,” says designer Claudia Juestel of Adeeni Design Group. Some designers advocate buying big pieces first. Whether you buy them first or last, it’s usually a good idea to keep those furnishings understated. “Keep your fabrics a little on the neutral side, and then bring the color in on your walls and your throw pillows,” advises Caccoma. Comfort is critical. Don’t be afraid to sink your money into seating. “Buy the best sofa you can afford,” advises Juestel. Try to sit or lie on the piece before you buy, and if you can afford it, upgrade your cushions from solid foam to foam wrapped in down. If you do most of your sitting in the family room rather than the living room, spend the money on those pieces, instead of on pieces that’ll never get used. Upholstered pieces are a relatively large investment, so you’ll want things that will last through changes in your lifestyle and taste. As a rule, it’s best to go with simple, clean lines. And don’t fret too much about whether furnishings will go together, Caccoma says. Generally speaking, if you like the pieces, they’ll work together. Where you should shop, Juestel says, depends on your style, budget and quality expectations — as well as the amount of time you have to devote to the project. If you’re on a budget, consider shopping at secondhand stores, consignment shops, Craigslist and antiques stores, where you can often find top-dollar merchandise at bottom-dollar prices. If you don’t have that kind of time, stick to trusted furniture outlets. Caccoma is not a fan of buying furniture from department stores, she says, because furniture is not their primary business, so the quality varies and the styles might not be current. Also, avoid fly-by-night operations. “Buy things from places where if there’s a problem, you know they’ll stand behind their product,” she advises. How can you tell a good piece of furniture from one that’s not so good? If you’re buying an upholstered piece, lift up a corner and shake it; if it feels light or wobbly, take a pass. Likewise, the heavier the cushion, the longer it will last. When shopping for cabinets, look for drawers with dovetail joints in the corners. In the market for a mattress? Pay attention to coil count: the higher the count, the better the support. 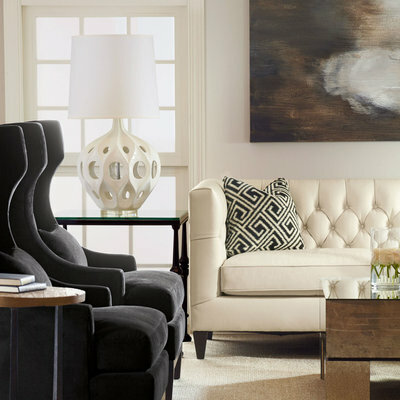 Juestel and Caccoma both say the biggest mistake they see homeowners make when they’re shopping for furniture is misjudging its size in relation to the room and other things in it. A piece that looks perfect in a showroom with 20-foot ceilings may not look the same under your 8-foot ceiling at home. Before you buy, mark out the piece’s dimensions on the floor with newspaper or painter’s tape, or build an approximation from cardboard boxes. And by all means, measure every opening between the curb and the piece’s final destination, to make sure it’ll fit through doorways and elevators and around corners.